The closed suction system above the cuff of the tracheal tube. To reduce the risk of hypoventilation and hypoxia, Low expiratory tidal volume. The device consists of the sterile catheter for the suctioning enclosed with the sterile polyethylene cover. 15 mm connector(patient end) for the Endotracheal tube/Tracheostomy tube. Vacuum suction connector with cap (machine end) with valve suction controller. Rotating valve for the suction (on / off ). Its used for oral intubation only intended for airway management. Made of clear polyvinyl chloride (PVC). The radio-opaque blue line to confirm correct placement by x-ray. An intubation depth mark above the cuffs is provided as a guide for correct placement of the tube. A blue inflation line and a pilot balloon with integral Luer check valve for inflating, deflating and monitoring the cuffs. Suction lumen incorporated into the dorsal suction hole located above the cuffs. 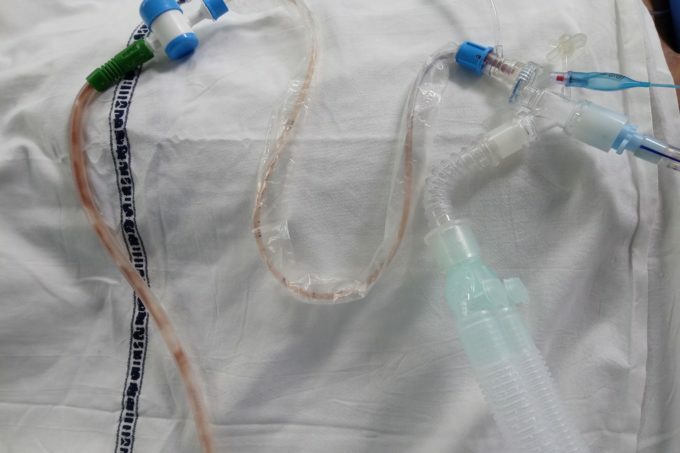 Clear suction line with a yellow stripe and yellow capped suction connector, facilitating connection to the suction device. The endotracheal tube is with 15 mm connector the product is sterile until the pack is opened or damaged. It is intended for oral intubation only for airway management of patients anticipated to require prolonged mechanical ventilation in critical care units. It may be used in the emergency and operation theatre. Dorsal suction lumen allows drainage by continuous or intermittent suctioning of contaminated mucous. suctioning of subglottic secretions that accumulate above the cuff. The patency of the tracheal tube lumen must check regularly endobronchial suctioning. check routinely and replace as required to maintain a patent airway. Maximum use of this endotracheal tube is 7 to 10 days. cuff pressure and volume should monitor and adjusted routinely.